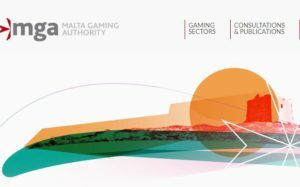 Representatives from Malta’s casino licensing agency, the Malta Gaming Authority (MGA), have recently revealed in an official press conference that the regulatory body will be approving the use of Bitcoin and other digital currencies in the online gambling sector. For now, no details are revealed as to how the adoption will be administered but only that it will be done after a risk assessment is conducted to determine the best way of implementing the cryptocurrency. The reveal comes nearly half a year after the MGA announced that they are considering regulating Bitcoin and weighing in the pros and cons of doing so. At the time, the UK Gambling Commission had already green-lit the use of Bitcoin in online casinos, prompting the MGA to take a similar course of action to stay on top of Europe’s casino licensing competition. As reported by local media outlet Malta Independent, the MGA announced the adoption of Bitcoin as part of a larger proposal to overhaul Malta’s casino licensing Act. Namely, the regulatory body presented a white paper that outlined several important changes to the regulatory framework for the casino industry in the country, which will be open for discussion during the next five weeks, after which action is likely to be taken. The paper was presented by MGA’s Executive Chairman Joseph Cuschieri, and it revealed that the Authority had commissioned a study into the use of cryptocurrencies in the online gambling sector, considering certain risks that might come with such adoption. Thus, the study is to help the MGA asses the most suitable way to legally introduce Bitcoin and other cryptocurrencies for gambling purposes while preserving all principles the authority is based on. Following the study, there will be an evaluation period during which the agency will weigh in the results to determine the best approach to take. According to the proposal in the published white paper, there will be a public consultation where the main findings and proposed framework are to be revealed, which is expected to happen by the fourth quarter of 2017. But one thing seems to be certain – the Authority is “committed” to introduce Bitcoin soon. According to the regulatory agency, the new Act is to bring the MGA closer to modern times by making needed changes that were designed together with the industry’s stake holders. Apart from introducing cryptocurrencies, another important change would be the simplification of the licensing system which is currently based on multiple licenses for individual gambling services like poker, lottery, or sportsbetting into a simpler bi-license system, but also tax exemptions for B2B licenses. Prior to the white paper being released, Malta’s own PM, Joseph Muscat, stated that the country will be embracing a new national strategy to promote and adopt blockchain technology to stay on the “frontline” of Bitcoin and blockchain. And according to the white paper, the MGA seems to be aligning with this vision, as they likewise are aware that the “rise of crypto-currencies is inevitable”.